Welcome To Ashu Skin Care! The Best Dermatologist & Trichologist , Laser Specialist Doctor Clinic in Bhubaneswar, offers you Skin care, Hair Care, Laser Skin Care , Slimming & Weight Loss Services. ASHU SKIN CARE Reveiwed as the Bhubaneswar's Best Skin Clinic , Hair Clinic, Cosmetology Clinic , Laser Treatment Clinic & Hair transplant clinic. 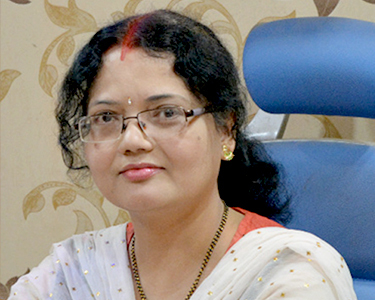 Dr Anita Rath Founder of Ashu Skin Care is one of the best Lady skin doctor in Bhubaneswar,Odisha . ASHU SKIN CARE is an International standard skin, hair, beauty, slimming, weight loss,laser,cosmetics, Aesthetic & anti ageing treatment clinic located At Biju Pattnaik College Road, Jaydev Vihar, Bhubaneswar. 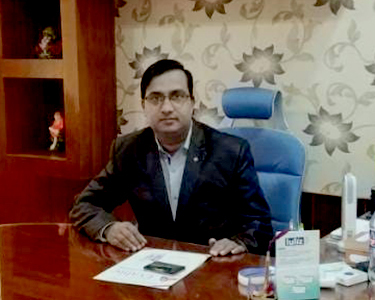 MD (Obst.& Gynecology), Dr Rabi narayan Satapathy Consultant Gynecologist at Ashu Skin Care is one of the best Gynecologist, infertility consltant & laparoscopy surgeon in Bhubaneswar, Odisha . ASHU SKIN CARE is an International standard skin & Gynae clinic. Our centre is located At Jaydev Vihar Near IDBI Bank, Bhubaneswar. WHY SELECT ASHU SKIN CARE ? The Center of excellence for skin, hair, Aesthetic, Slimming, laser & cosmetic treatment. Are you Concerned about your skin or hair related problems? Then let your worries to be taken care by Dr Anita Rath of Ashu Skin Care who is one of the best dermatologist in Bhubaneswar & Cuttack. We offer innumerable solutions to look after your every single need. Our aim is to provide complete skin care, hair treatment and best cosmetic dermatology practice at our clinic to our valued clients. We are considered as one of the top dermatology clinic in Bhubaneswar that offers best in class services to the clients using the latest & newest lasers & beauty enhance machines & medications for all kind of skin treatment including Pre bridal & Bridal Makeup Services. We offer a wide range of skin & hair care services and procedures that ensure a holistic approach in achiving a healthy skin, ageless beauty and self confidence. Our international standard newest treatment protocols heals in a natural way. Ashu Skin Care has the privileged of the company of Dr Anita Rath , who is widely accepted as the best hair specialist doctor of bhubaneswar , odisha & one among the top trichologist dr of india. Our natural thrapies helps in preventing your Hair Fall & helps in natural hair regrowth. here we treat all types hair related problems with utmost patient satisfaction which is clearly evident from the reviews of satisfied customers. quality care, comprehensive approach, proper diagnosis and appropriate minimal medication is the main highlights of our clinic..
Ashu Skin Care is now regarded as the best beauty clinic that offers an wide array of natural care for optimum pure & natural skin glow on your face. We do Skin Rejuvenation by PRP, LASER, chemical peeling & medications. Our natural treatments nourishes the skin & increases collagen synthesis. Thus it reduces pigmentation , uneven tone of facial skin and filled up the pores by natural collagen. Our secret beauty enhance formula will make your skin brighter and shining & brings back natural skin glow. We also provide Pre Bridal & Bridal makeup services at our Clinic. Ashu Skin Care . The best Laser Treatment Clinic in Bhubaneswar offers you various types of laser therapy for the first time in Bhubaneswar. We have been enriched with several latest & newest USFDA approved Laser machines like USFDA approved Diode Lasers, CO2 Fractional Lasers, PicoSure Lasers, Excimer Lasers, NDYAG Lasers, IPL lasers and many more. Our various Laser treatments ensures natural cure & retain optimum skin glow & skin rejuvenation. it is always a pleasure for our team of doctors leading by Renowned Lady dermatologist & best Laser Specialist doctor of Bhubaneswar, Odisha, India Dr. Anita Rath, technicians, counselors and patient relationship managers try to make your experience at the clinic enjoyable & truly memorable. To make you understand about our Laser cosmetic treatments better at clinic and to achieve the best results, our team is always ready to help before and after the treatments. The expert touch of Dr Anita Rath, best lady skin doctor in bbsr for laser skincare. At Ashu Skin Care , We are regarded to be a centre of brilliance in Clinical & Cosmetic Dermatology in Bhubaneswar adhering medically and technically to global standards while providing utmost care and comfort for the patient. We do identify everyone’s aspiration to be naturally beautiful irrespective of age & Gender. Our various natural treatments are considered to be the best for Skin Rejuvenation & helps in skin glow. it is always a pleasure for our team of doctors leading by Renowned Lady dermatologist & best Laser Specialist doctor of Bhubaneswar, Odisha, India, Dr. Anita Rath, technicians, counselors and patient relationship managers try to make your experience at the clinic enjoyable & truly memorable. We do treat beyond the conventional way to provide a world class experience to our patients with at individualized approach including Pre Bridal Services. Bhubaneswar's Best Gynecologist , Obstetrician, Laparoscopy & Hysteroscopy Surgeon, Minimal Invasive Surgery Specialist Doctor & Best Doctor for Women Diseases in Bhubaneswar -Dr. Rabi Narayan Satapathy Consult only at Ashu Skin Care . Call 8270055000 / 8270088880 Facilities Available :1. Gynecology Consultation for all types of Gynec Problems, PRP for Vaginal Asthetics, Laser Therapy in Gynecology for Vaginal Tightening, Intimacy Issues, Vaginal Rejuvenation, Abnormal Menstrual Bleeding, Acne & Obesity - PCOD, Hysterectomy - Uterus Removal, Laparoscopy Gyne Surgery, Infertility Treatment, Fibroid Treatment, Adolescent Girls Problems. Here at Ashu Skin Care we treat all types of sexual dysfunction with very high sucess rate. we treat erectile dysfunction, ejaculatory dysfunction, sexual transmitted diseases, intimacy issues, dysparunia, impotence at our clinic in a natural manner. our treatment protocols do include our free counselling sessions that offer a complete cure. We offer various types of Skin tightening procedures, with the help of our latest imported equipments. that gives you an ageless beauty and reduces wrinkles.